The Used PIM Tester from Kaelus is among the first ever battery-powered PIM Test analyzers in the market. Designed for versatility, this model supports multiple test scenarios – such as testing at the base of the tower, top of the tower, rooftop, as well as in-building for all DAS systems. Further, this product is IEC compliant and features a rugged battery-operated design. It also comes with a tablet computer encased in a ruggedized package for easier remote control. All these features work hand in hand to allow for the hands-free dynamic testing capabilities you are looking for in your operations. The safe and convenient tester also allows you to add an optional RTF (Range to Fault) module to the Kaelus IPA 0850A, used so you can quickly identify the location of all Return Loss and PIM sources. Having evolved from a unique design legacy spearheaded by industry-proven analyzers, the Kaelus IPA 0850A will enable network operations to add improvements to the performance of their sites. It works by finding as well as eliminating all sources of apparent Passive Intermodulation from the cell site. Interestingly, this model also comes with an intuitive touch screen interface, making it easy for people to use for local control, generating actual site reports, and performing tests when and as required. The perfect PIM scrub, this Kaelus IPA 0850A, used model is a versatile and excellent fit for daily use – irrespective of the market in question. The high quality of the product, as well as the unique features it comes with, you can be sure that the Kaelus IPA trumps all other regular scrubs in the marketplace today. As far as robust scrubs go, this model also delivers the features that will capture your attention and keep you productive irrespective of the use you put it to. If you compare it, for instance, to the IPA 0707A, used model, you’ll understand why the Kaelus IPA 0850A is such a hit. 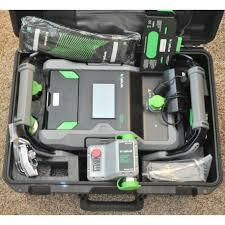 Over and above everything else, the IPA 0850A, used PIM (Passive Intermodulation) analyzer ranks among the best battery-powered test analyzers in the market today. Its versatility is such that you get support for different testing scenarios – top and base of a tower, among others. It even comes with a tablet computer that you can use to control it remotely. These features give it a definite edge over other models, such as the IPA 0707A, used. All these features – and many others – work hand in hand to deliver a high quality, highly reliable, and exceptionally useful product. With the Kaelus IPA 0850A, used PIM analyzer, you can be sure that all your future testing needs will be satisfied with minimal hassle with regards to power sourcing and compatibility issues.